First European standard ISO 16260:2016 with physical specifications for comparability with the original Scott Bond! 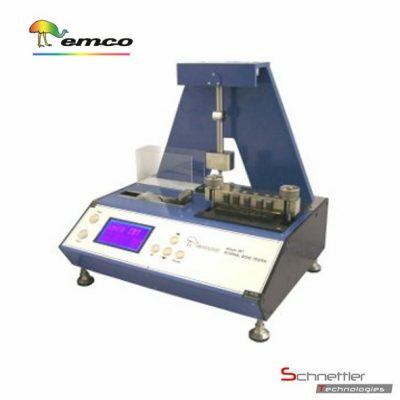 The emco IBT Internal Bond Tester realizes a dynamic measuring principle for determination of the splitting strength of paper, cardboard and compound systems. By the use of a pendulum machine high shear stresses are simulated which are relevant for evaluation of material behaviour during processes of product finishing and mechanical stress. High processing speed and structual loads stress the fiber strength and interfiber bonding of the paper. Therefore we are talkting about Internal Bond strength test according to Tappi 569 (Scott Bond test). Contrary to the analysis of the mechanical devices of Scott Bond emco IBT is digital and uses the associated advantages.